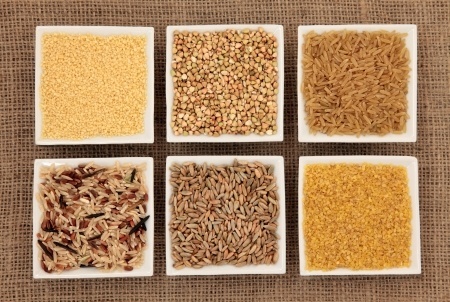 Carb intake is a huge topic in bodybuilding. We need carbs to survive and we need the right amount of carbs to perform well, think clearly and have enough energy. 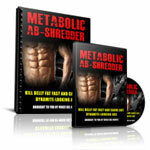 But carbs turn into Enemy #1 when the body fat percentage starts creeping above an acceptable number. The fact is that carbs are not the devil, even if you are trying to lose fat. The real key isn’t in the carbs you put into your body. The real key is what your body does with those carbs, more specifically, where it decides to store them. I’m not saying that you can go ahead and pig out on jelly sandwiches made with white bread. You still need to eat the right ratio of carbs to protein and fats for your body, and you need to make those carbs the healthiest types, such as those from fresh vegetables. But what I am saying is that if your body is mismanaging your carbs, you can still gain fat faster than you’re gaining muscle. To understand why this is true, you need to understand that your muscles have a lot to say about how much of the carbs you eat ends up in your muscle cells and how much ends up being stored as fat. When we eat carbs, our bodies break them down very quickly into glucose, which then releases into the bloodstream. The elevated blood glucose level then triggers the release of insulin, whose job it is to transport that glucose through the cells’ walls where it can be stored as glycogen or burned as ready fuel. If your muscles don’t need that fuel right away, they’ll choose to store the glycogen for later. But their storage capacity is limited. Also, if your cells have become resistant to insulin (and many people do have reduced sensitivity), then that glucose is going to have to go somewhere else. That somewhere else is fat cells. A lot is written about this when it comes to insulin resistance leading to Type 2 diabetes, but you don’t have to have diabetes to be adversely effected by it. 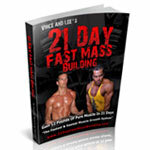 When the process isn’t working as it should, it has a dramatic effect on how fast you build muscle, as well as how fast you gain or lose fat. 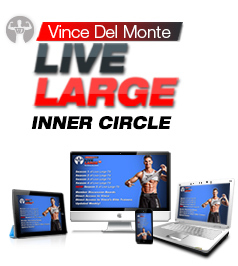 What you want is for your muscle cells to respond well to insulin and to store as much glucose in the form of glycogen as possible. Having that glycogen on board fuels your energy, improves endurance, speeds the recovery process and helps you build muscle. 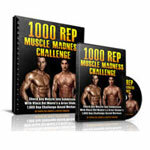 At the same time, anything you store in the muscle cells is not being stored as fat. Fortunately, because of all the research being done on glucose, insulin and Type 2 diabetes, we’ve learned that there are a number of foods that can dramatically improve insulin sensitivity and glycogen synthesis, meaning that more glycogen is stored in your muscle and less is stored as fat. There are five ingredients that have really made waves in the research community and they’re all pretty readily available. Some of them you may have heard of, but a few of them are still pretty much unknown in the bodybuilding world. Fenugreek is a plant that’s grown and used in North Africa, Asia and the Mediterranean. Its long pods are filled with seeds, which are either used whole or ground up into a powder to be used as a seasoning. In some cultures, the leaves of the fenugreek plant are eaten like greens and in others the plant is usually eaten as sprouts. Fenugreek has been used in Ayurvedic and traditional Chinese medicine for centuries, and now Western medicine has recognized its potential for preventing or treating Type 2 diabetes. What researchers have found is that fenugreek helps to lower blood sugar by slowing down the digestion and absorption of carbohydrates. Part of the reason is that fenugreek is packed with soluble fiber and when you take carbs with a lot of fiber present, it takes the body much longer to get to the carbs and break them down into glucose. There has been a ton of well-respected studies on using fenugreek to help lower blood glucose levels and improve glucose tolerance. One study done in India showed that 100g of fenugreek per day dramatically reduced blood glucose levels in people with Type 1 diabetes. Another study reported that 15g of fenugreek powder added to a meal reduced post-meal blood glucose in patients with Type 2 diabetes. A third study showed that 2.5 grams of fenugreek twice a day reduced blood sugar levels in people who had a mild form of Type 2 diabetes. Banaba is another plant that has been used in alternative medicine in eastern countries for generations, but is just now getting attention here. Several studies have shown that Banaba leaf, or more specifically an extract from the leaf known as Corosolic acid, actually reduces blood sugar levels within an hour of eating carbs. Unlike a lot of ingredients, this one has been extensively tested on humans, not just on animals. Banaba leaf affects glycogen/glucose levels in a few different ways. In improves the cells’ rate of glycogen uptake, slows the breakdown of starches and sugars, and even regulates fat metabolism. You’ve probably heard more about cinnamon in the last few years as it relates to diabetes and blood sugar. There’ve been a ton of studies published on how sugar can help reverse Type 2 diabetes or prevent it altogether by reversing metabolic syndrome. It does this by acting as an insulin mimetic (in other words, it mimics insulin) and by helping to improve the cells’ sensitivity to insulin. One of the most important studies worked with 30 men and 30 women who had Type 2 diabetes. 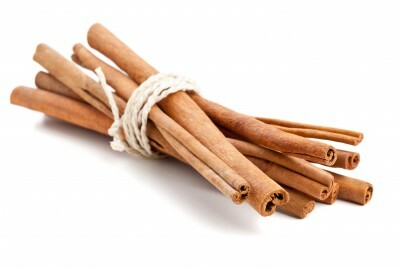 The patients were divided up and given various levels of cinnamon – anywhere from 1-6g daily. The study lasted forty days. After the forty days, the fasting serum glucose levels of all of the patients had been reduced by 18-29%. Bitter melon is used a lot in Asian medicine and is just now starting to be used to help reduce blood sugar and improve insulin sensitivity. Bitter melon is a fruit grown mostly in Asia and it’s used as an ingredient in a lot of foods eaten in Thailand, Vietnam and other Asian countries. The fruit has at least four important properties that work to improve blood sugar. Charantin is known to lower blood glucose levels, Vicine and polypeptide-p mimic insulin. Bitter melon also contains a lectin that suppresses the appetite, and stimulates uptake of glucose in peripheral tissues, much like insulin does. Back in 2008, one study found that bitter melon definitely improved the cells’ uptake of glucose and also increased glucose tolerance. One of the most important recent studies was done in 2011. That one was a four week clinical trial that showed that 2000mg daily of bitter melon significantly reduced blood sugar levels in people with Type 2 diabetes. Gymnema Sylvestre is another plant extract and its use in medicine has been documented to go as far back as the 6th century B.C. It’s being used in a lot of alternative medicines as a treatment for Type 2 diabetes and there are a lot of studies that support it. Gymnema sylvestre contains gymnemic acids, which slow down the rate that glucose is absorbed into the bloodstream. Some studies indicate that Gymnema sylvestre can also help repair the pancreas beta-cells, improving insulin production and secretion. In one really important study, 22 people with Type 2 diabetes took 400mg of Gymnema sylvestre along with their diabetes medicine. At the end of the year and a half-long study, everyone was able to reduce their dosage of medication and five people were off medication altogether. It was this study that suggested that the extract actually helps regenerate beta cells in the pancreas. Another study found that Gymnema sylvestre even helped people with Type 1 diabetes. After a year of taking 400mg a day, 27 people had lower blood glucose and insulin levels. Now, you can get all of these extracts in separate supplements, but that would get pretty expensive and also add several pills and powders to the list you’re already taking. I have found one supplement that has all five of these ingredients, plus several more that have been shown to increase glucose uptake and improve insulin resistance. All you need to do is take a capsule before you eat a carb-rich meal or have your post-workout shake and it’s been shown to improve insulin sensitivity by 38%, glucose absorption by 57% and glycogen storage by 60%. I highly recommend it and it’s made by a company that I know has integrity and very high standards. 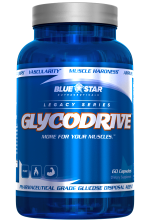 Click here to read more about Bluestar’s Glycodrive. Baskaran K, Kizar Ahamath B, Radha Shanmugasundaram K, Shanmugasundaram ER. “Antidiabetic effect of a leaf extract from Gymnema sylvestre in non-insulin-dependent diabetes mellitus patients.” Journal of Ethnopharmacology (1991): Oct;30(3):295-300. Davis PA, Yokoyama W. “Cinnamon intake lowers fasting blood glucose: meta-analysis.” Journal of Medicinal Food (2011): Sep;14(9):884-9. Fuangchan A, Sonthisombat P, Seubnukarn T, Chanouan R, Chotchaisuwat P, Sirigulsatien V, Ingkaninan K, Plianbangchang P, Haines ST. “Hypoglycemic effect of bitter melon compared with metformin in newly diagnosed type 2 diabetes patients.” Journal of Ethnopharmacology (2011): Mar 24;134(2):422-8. Kassaian N, Azadbakht L, Forghani B, Amini M. “Effect of fenugreek seeds on blood glucose and lipid profiles in type 2 diabetic patients.” Internatinal Journal of Vitamin and Nutrition Research (2009): Jan;79(1):34-9. Sharma RD, Raghuram TC, Rao NS. “Effect of fenugreek seeds on blood glucose and serum lipids in type I diabetes.” Europena Journal of Clinical Nutrition (1990): Apr;44(4):301-6. Toshihiro M, Satoshi T, Torao I . “Management of Diabetes and Its Complications with Banaba (Lagerstroemia speciosa L.) and Corosolic Acid.” Evidence Based Complimentary Alternative Medicine (2012). 5 nutrients to bring the carbs to the muscles you share very well. I am also adding these nutrients. 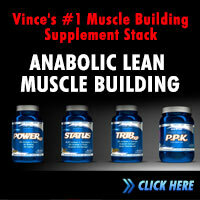 The way you use 5 nutrients to bring your carbs to muscle is very good and effective. What you need is for your muscle cells to react well to insulin and to store however much glucose as glycogen as could be expected. Having that glycogen on board powers your vitality enhances continuance, speeds the recuperation procedure and encourages you to construct muscle. 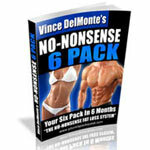 In the meantime, anything you store in the muscle cells isn’t being put away as fat. Howdy! I absolutely prefer to present you with a vast thumbs up for your trusty old brilliant insight you’ve provided below on this piece. Now I am coming back to your page for further one day. I usually sprinkle cinnamon on my oatmeal or in my shakes or smoothies. The other ingredients I’ll have to search for. All in all, it’s always good when you can reduce carbs being stored as fat. I feel like I should have paid for all this information…Love it! I’ve noticed a severe slump in energy, mood and strength. I’ve recently begun a cycle and it worked like a charm.